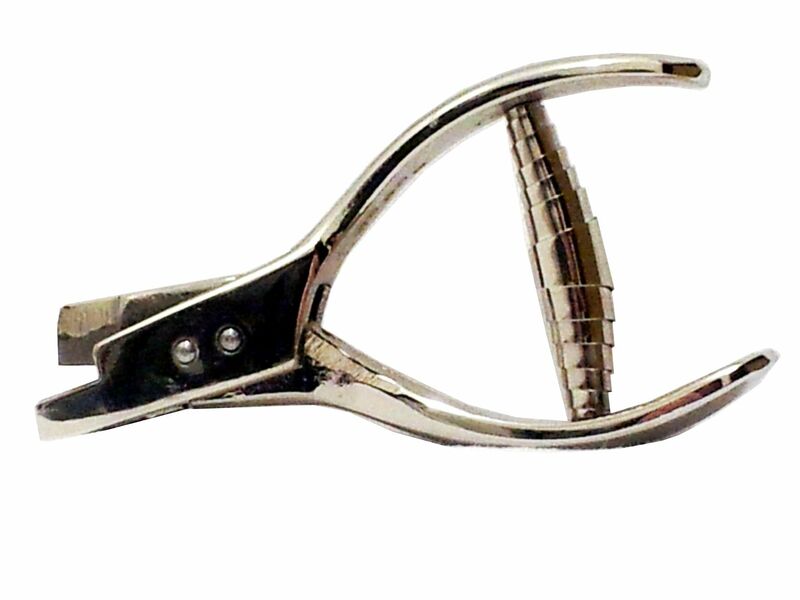 Pattern notched pliers are special pliers to validate tickets, documents, vouchers and discount cards at the very edge. The hole punch is much larger compared with our ticket punches. Our pattern notched pliers are available in three different models, varying in size, weight and size of the hole punch. Various punch styles are available, please see these styles below. In contrast to ticket punch pliers, the marking or validation is effected only on the edge of the ticket or card. With the large pattern, this plier can validate also plastic cards like cheque cards, bonus cards, bank cards etc.